During the two years I attended Santa Monica College, I was broke 87% of the time. I struggled just to just buy groceries, let alone also spend money on lunch at the dining hall. Living on my own while supporting myself and going to school taught me a ton about food budgeting. At first it was difficult, but over time I learned that it really is possible to enjoy healthy, plant-based meals as a college student, even when you’re limited on time, budget, and kitchen space. Here are four tips for how you can plan for eating plant-based on a college budget. I know you probably don’t have an oven (or a super functional one if you do), and your roommate is hogging most of the fridge. That’s OK! You don’t need much in the way of equipment to eat well in college. In fact, the best tool you can bring to the table is your attitude. If you approach cooking with determination and a will to succeed, you’ll eat well and have fun along the way! Cooking is entertaining for me, but I also never follow a recipe. That’s because I’m a rebel. I cook what I want, when I want, and how I want. If I want broccoli instead of bean sprouts in my pad thai, I go for it! Keep it 100% you, and you’ll feel super accomplished. It’s also completely fine to get inspired by something and take your own approach, because creativity and unique ingredients are what make cooking so fun. "Taking the plant-based plunge has never been easier, even on campus. " Supreme Banana: Cami Petyn has a huge personality, but that’s not the only big thing she’s known for on YouTube. 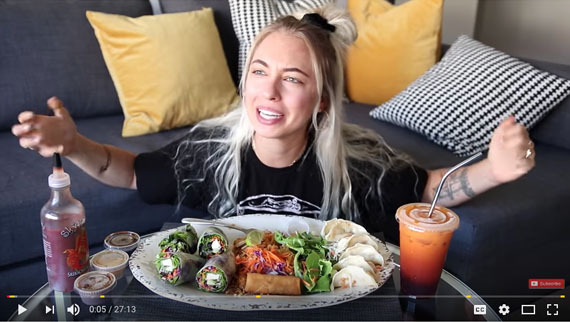 This guru makes “veganizing” videos in which she reviews vegan options at mainstream, chain restaurants such as IHOP, Chili’s, Olive Garden, and even Dairy Queen. 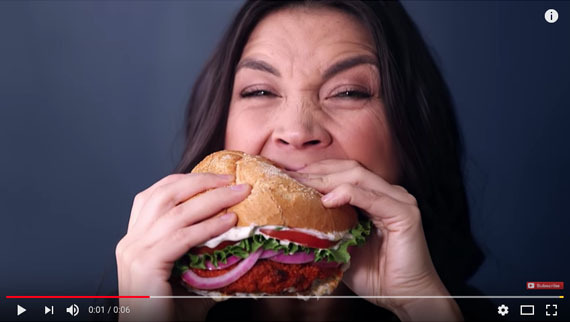 Hot For Food: It’s no surprise Lauren Toyota is one of the most recognized chefs on the internet, she delivers some of the best vegan recipes EVER. 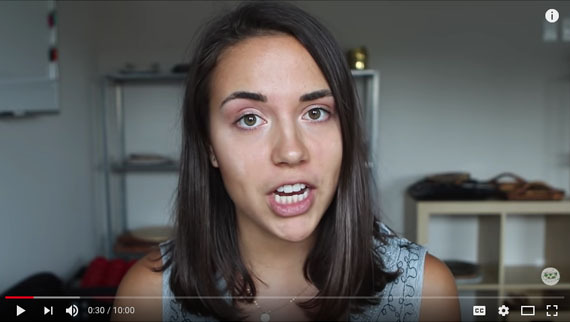 Jordan Waddell: Jordan is lesser known than other YouTubers, but she produces great, informative content about all things plant-based. I like her because she is just as passionate as I am about eating healthy and spreading the vegan message. 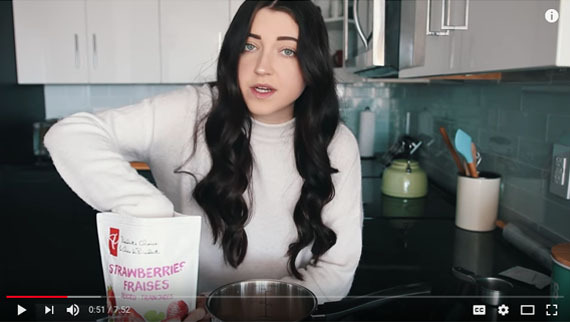 Liv B: This college-age YouTuber makes loads of back-to-school lunch videos — keep her on your list if you need bento box inspiration. 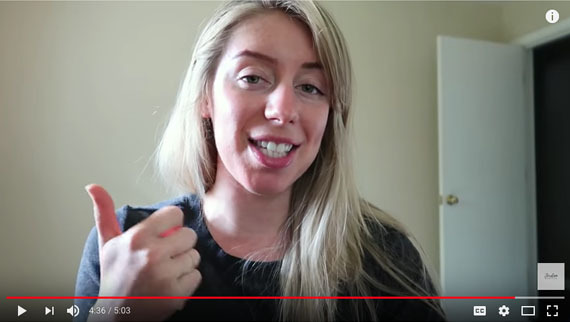 Caitlin Shoemaker: One of the more realistic influencers of the bunch, Caitlin is famous for her $1-$5 vegan meal ideas, and her laid-back personality. She creates content for young adults and plant-based folks on a budget. Applesandamandas: Amanda’s approach to plant-based eating comes from her background in nutrition and dietetics. With a degree from Loma Linda University, she’s able to break down exactly what nutrients are in the meals she’s preparing, and how those benefit the body. 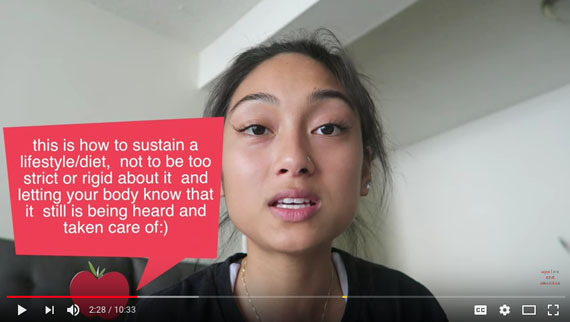 Check out her videos for a true plant-based college experience! If you don’t have a car, get your groceries delivered with a service like Imperfect Produce, Good Eggs, Thrive Market, or Amazon Express. Don’t be afraid to shop the clearance section of the supermarket. Or try the dollar store — tons of frozen veggies hide in those freezer sections! Tap your dining hall. If you’re allowed to take food to-go, bring tupperware containers load up on veggies or plant-based food for your dorm fridge. Take advantage of an Amazon Prime membership to order discounted, fresh food from Amazon’s 2-hour delivery service. If you have an apartment or shared dorm kitchen, prep ingredients in your downtime. This is probably the easiest and most time-efficient dinner or lunch I have. If you can swing around $20 to $25, get yourself a rice cooker. You will save so much time, and they can be used for a ton of different things. Cook quinoa in rice cooker or on the stove top. Steam or roast veggies. 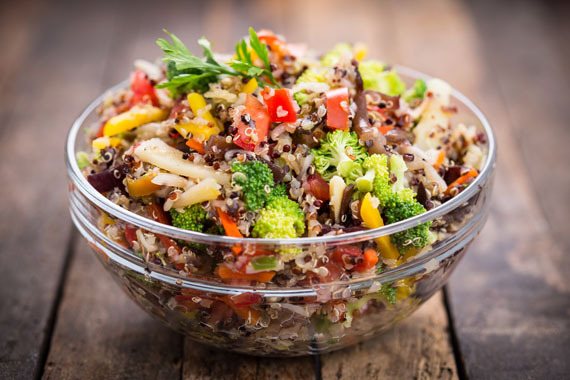 Layer the veggies over the quinoa in a large bowl. Top with olive oil, salt and pepper, tahini dressing, or any other favorite sauce, and enjoy! Nutritious and filling, oatmeal is such a versatile, budget-friendly grain and can be ready in under 3 minutes. You can add just about any berry, nut, seed, or topping to a bowl of oats and have a substantial, filling breakfast. Pour a cup of oatmeal in a glass/microwavable bowl. Place in microwave and cook for 2-3 minutes, depending on what kind of consistency you prefer. Prepare toppings. Wash, cut and dry a handful of either blueberries, strawberries, blackberries, cherries, coconut, apple, bananas, or any other fruit. Top oatmeal with fruit and then sprinkle on seeds, nuts, peanut butter, maple syrup, anything you’d like. 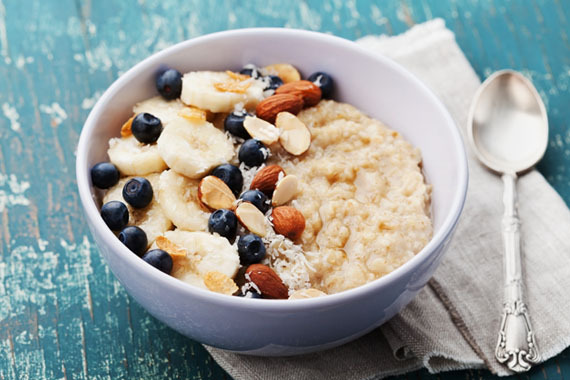 Enjoy your filling, warm breakfast bowl while listening to some energizing music or podcasts. 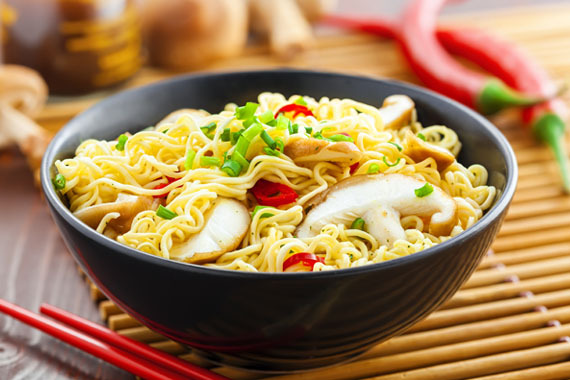 College kids are so notorious for consuming large quantities of cheap, instant ramen, but what if there was a way to transform it into an actual substantial meal? I’ve found that making a miso, garlic, and mushroom broth at home and adding a 99-cent package of ramen (minus the flavor packet) is so delicious. I also take extra time to chop up and cook broccoli, bok choy, spinach, green onions and add some dried seaweed to top it off. Other toppings you can buy ready-made or prepare yourself could be miso-glazed carrot strings, butternut squash, medium-firm tofu, kale, roasted corn, and mushrooms. Stir-fry chopped shallots, ginger, and garlic until fragrant (about 3 minutes). I love using Trader Joe’s brand of miso-ginger broth, but a savory mushroom or soy sauce broth is also delicious. I like to simmer chopped fresh shiitake mushrooms in the broth for at least 30 minutes to an hour (depending on the kind of time I have). Steam veggies separately. If you are short on time you can try cooking the veggies in the broth, but this can noticeably affect the flavor of the broth. Throw the noodles, veggies, and any toppings together in a big bowl, and enjoy! I grew up in a very Southern family, including a grandmother from Louisiana who loved creole-style cooking. 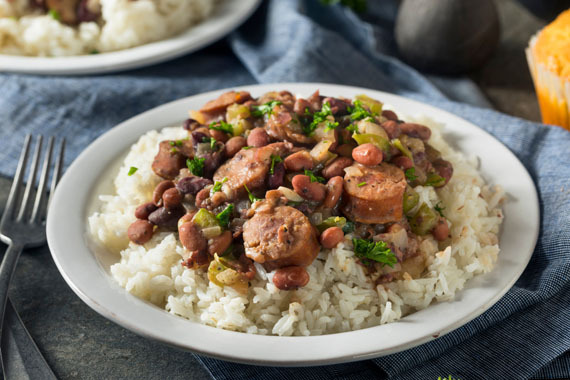 One of my favorite easy and inexpensive recipes is red beans and rice, topped with vegan sausage. Cooking the beans with a ton of delicious spices and frying the sausage with a bit of olive oil makes for a super flavorful and savory dish. I load up a bowl with brown rice, a heaping spoonful of the beans, and top it with the sausage rounds. These are so filling and easy to make, I find myself eating them least 2 to 3 times a week. I top them with all kinds of yummy condiments and veggies, and it makes for an incredibly decadent dinner (or lunch!). Preheat oven to 450 degrees. Wash and scrub any dirt from the sweet potato. Brush sweet potato with olive oil, and sprinkle with salt and pepper. Wrap the potato in a large piece of foil, and stick in the oven. Bake for roughly 30-45 min. Voila! Dinner is served. Top with chili, avocado, chickpeas/chana masala, asparagus, quinoa, taco fillings, steamed kale/spinach, broccoli & cheez sauce, this recipe for a mediterranean option, hummus, ratatouille, or whatever sounds good to you. You can even make a sweet version with brown sugar and a bit of maple syrup. And there you have it! 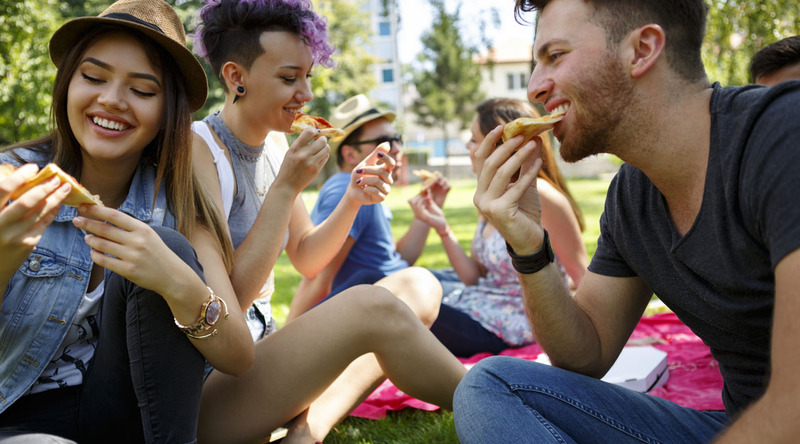 Five ways to enhance your college experience, one plant-based meal at a time. Taking the plant-based plunge has never been easier, even on campus. Ready to get started on your plant-based journey? 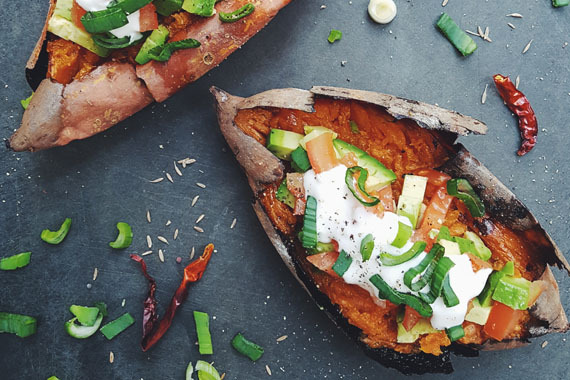 Sign up for our newsletter, The OMD Beet, for tips and tricks to whipping up plant-powered deliciousness in your kitchen!